This entry was posted on Friday, February 1st, 2013 at 8:21 pm	and is filed under Eating Disorders. You can follow any responses to this entry through the RSS 2.0 feed. Both comments and pings are currently closed. It means so much when peers approach peers on this. There is a tendency to think that if parents are speaking up on the topic we’re just defensive and in denial and don’t know what we’re talking about. I believe what you’ve said here has the authority and authenticity to speak to anyone with the intellect and professionalism to hear it. I am sure all parties care about patients and want the best for them — but with such a serious issue we can’t afford to be silent. 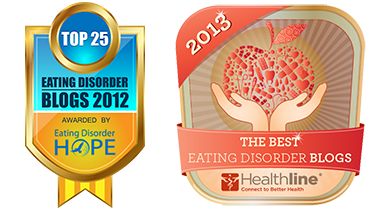 You remain a champion for parents and individuals dealing with eating disorders. As a parent of a daughter with RAN, I appreciate and value your comments because they reflect the most up-to-date scientific knowledge about eating disorders. 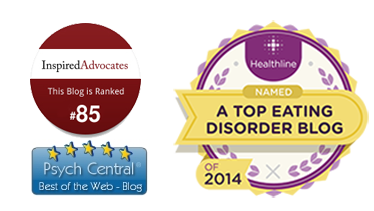 Thank you for taking on this “professional” ..it is hard enough for a parent to deal with relatives, neighbors and friends who do not understand the etiolgy of eating disorders…but it is inexcusable for these so-called “professionals” to continue to treat eating disorder patients with their antiquated ideas. I am a Physical Therapist. Approximately fifteen years ago, my State Board of Physical Therapy (Florida) deemed it neccessary for all PT’s to have up-to-date continuing education credits in Domestic Violence and Medical Errors because these were areas where Physical Therapists could be “first responders”. I think it is time for ALL state boards that license mental health professionals to require mandatory yearly continuing education credits in the new information about eating disorders! It would be unethical and professionally inexcuseable for me as a physical therapist to continue to treat my patients as if it were 1991 (the year I received my Master’s Degree of Physical Therapy).. if there is evidence-based research in a specific treatment modality, why should it be any different for medical physicians, nurses, or mental health professionals?? I note that Micelle Lewis does not include anorexia nervosa in her clincial practice. I think this is a good idea. I’m afraid she would be in over her head if she attempted to help treat AN.